Essays can be a tough assignment for many students. Although essays mean writing a series of paragraphs, putting one's thoughts in a correct way can be complicated. Knowing the rules to follow will certainly make one's work stand out among the rest. As there are several types of essays, below are the most frequently used and the rules to follow to make one's essay effective. This type of essay focuses on an idea and the reaction of the writer. The essay starts with a statement or a question which is answered by the writer by providing his opinion on the matter. The opinion is backed up by a series of evidences or facts supporting the argument. The writer would then conclude the paper in a concise and clear manner. Examples include writer's opinion on an event, humanity and even politics. Cause and Effect is the easiest type of essay as it is concerned with providing readers the cause and the effect or end result. This type allows writers to practice their organization skills while at the same time discussing the ideas they are interested in. The essay starts with either the writer deliberating on the cause, the effect or both. The body would then include details that would support the first statement such as incidents that led to the cause or effect. Topics that are often discussed under this essay type include environmental and civil or human rights. 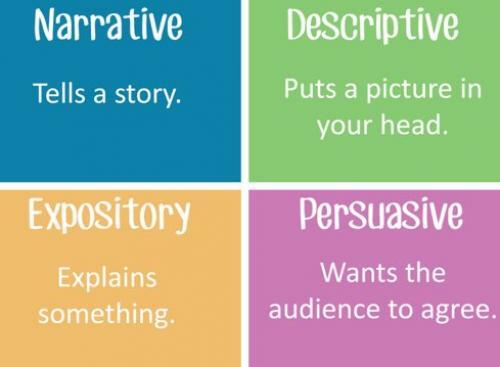 Persuasive essays involve persuading readers to adopt the writer's view about an idea. In a persuasive essay, writers must choose which side of the argument they want to be on. Evidences must be specific to ensure that the idea that one is presenting is supported. Be logical and objective. Include facts, statistics and experts' comments as they help make the idea concrete; however, do not overdo these as they can bore the readers. Popular topics include drugs, health, gun control and other controversial topics. Narrative essays are like storytelling as writers often write the essay in the form of a story, presenting readers with a particular plot that includes characters, a setting, the climax and the ending of the story. A higher form of narrative essay includes discussion of the point of view of the writer and the purpose of why the paper was written. Details provided in the story help support the point of view as well as explain the story. Popular topics include a person's life, success stories and travels. Pat works as a freelance writer and loves to write about the latest when it comes to technology, construction, home improvement and sports. He also loves to work on D-I-Y projects at home and cooking in his spare time. Maybe you aren't satisfied with your computational skills. If you want to improve them, check the quality of your simple mental computations first.